I always have loved meaningful pieces. When something someone is wearing tells a story or is a nod to a family member or important event in their life, it's a really wonderful way to have a physical reminder of a happy memory. 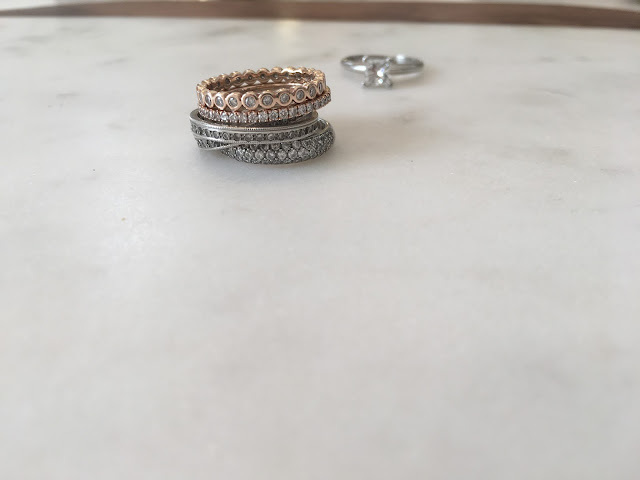 I do this with my ring stack which over the years we've grown to mark events in our lives and family and tell our story. 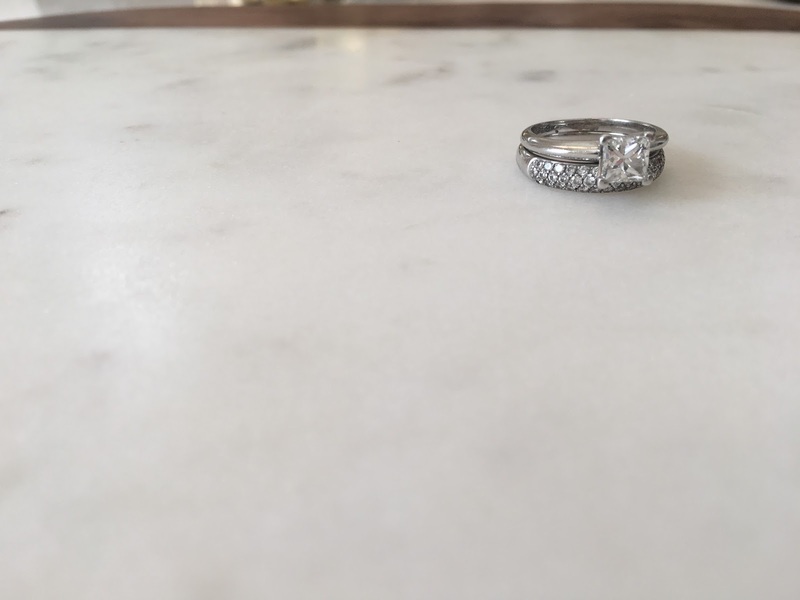 We started out as most people do: with my engagement ring and wedding band. Then added on another when Liam was born. The selection was intentional in that it's one ring but two bands connected. I also wanted something that I could pair with my wedding band separately of my engagement ring. When the girls were born, we added two more. In this instance, I wanted something in a different metal than the rest of my stack. I wanted to add a little more dimension to my stack, but also obviously the girls were a bit of a horse of a different color. Similarly to my ring for Liam, I wanted them to stack with my other two bands separate of my engagement ring if I needed them to. As the years go on, I'd also see adding on more rings or perhaps to my engagement ring for our wedding engagement milestones. But until then, here are some tips that I followed when we were looking at adding to my stack. 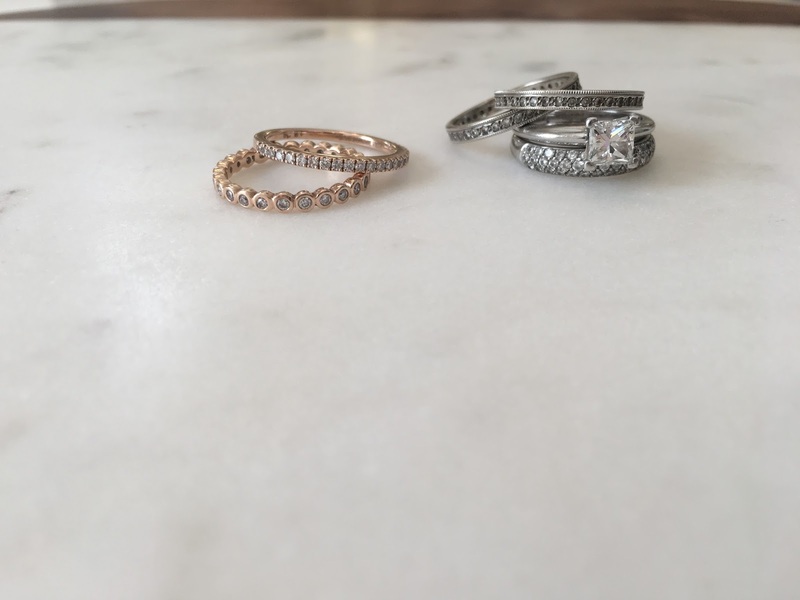 + It doesn't have to match: Though matching is probably the most straight forward way to create a ring stack, if you want something a bit different and create a bit of dimension on your finger (it'll stand out a bit more) think about adding pieces that are not identical, but similar in style & design. 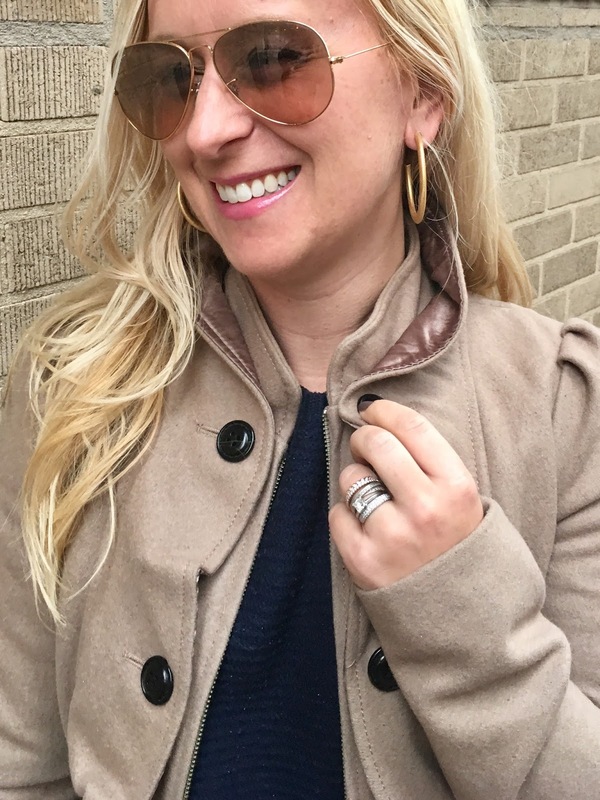 + Think about adding bands that you can wear separately, as well as together: The overall look of the entire stack is important, but also think about how you would wear them separately. 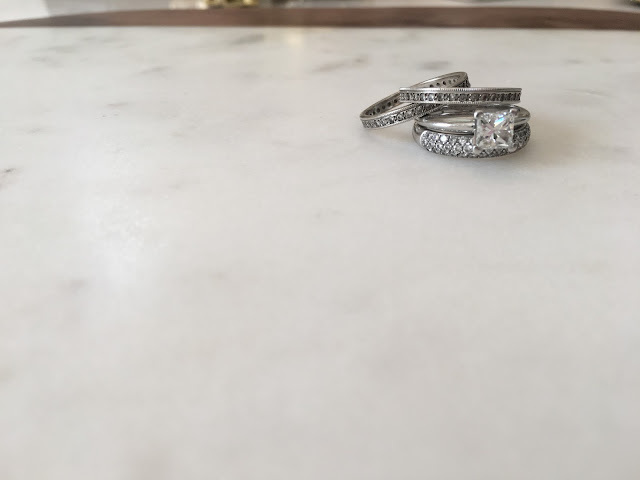 Depending upon the activity that we are doing, I don't always wear my engagement ring or I will split up my stack and wear some on my ring hand as well. + Long term planning: Not only are you likely going to add more for other milestones, but also consider what you are going to do with them later in life. One thing that I particularly love is the idea of gifting them to my children at some point. Family heirlooms are so important and meaningful. The idea that my daughters would one day wear the rings that their father gave to me to commemorate their birth is such a lovely sentiment.